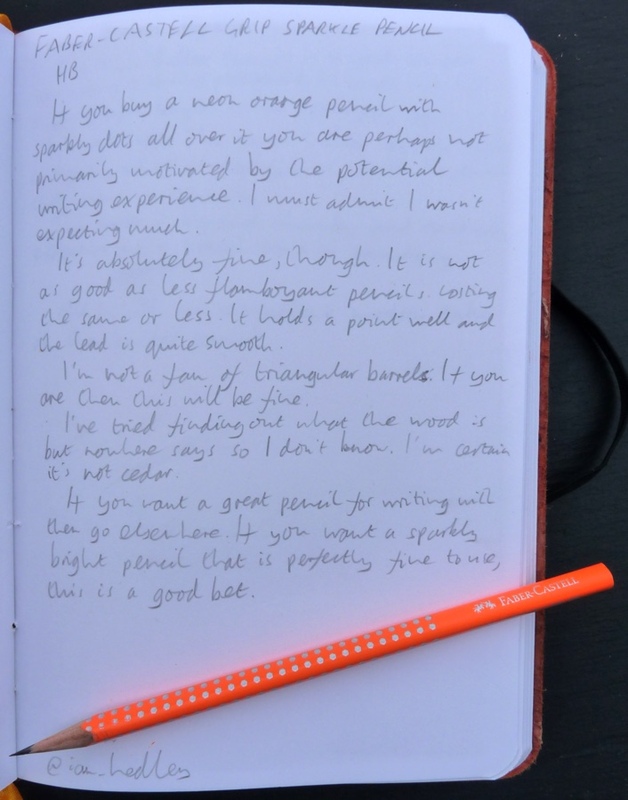 Faber-Castell Grip Sparkle Pencil Review – Pens! Paper! Pencils! 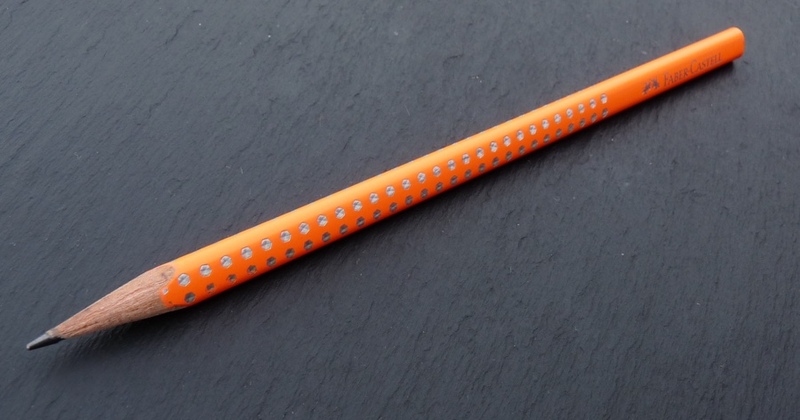 The Faber-Castell Grip Sparkle is a wooden pencil that’s available with HB lead for £1.50 a piece in the UK. I’m not certain of the wood it’s made from but the Grip 2001 is made from Jelutong so it’s probably safe to assume this is the same. Let’s face it. If you buy this pencil you are buying it for it’s looks. It’s neon orange with silver sparkly bits all over it. 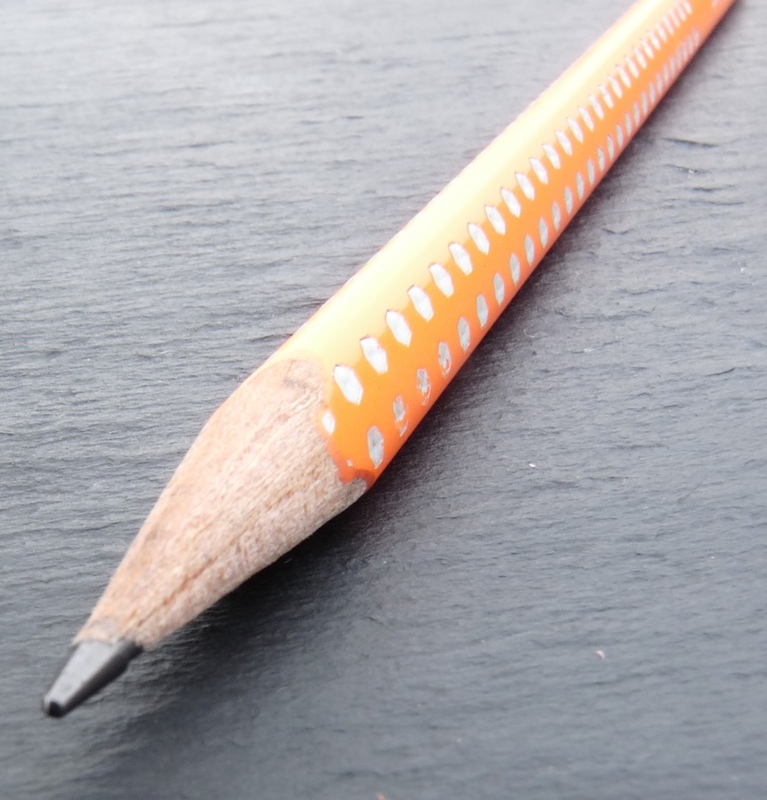 It’s hard to deny the essential happiness of this pencil. Fortunately you are also getting a perfectly reasonable pencil. 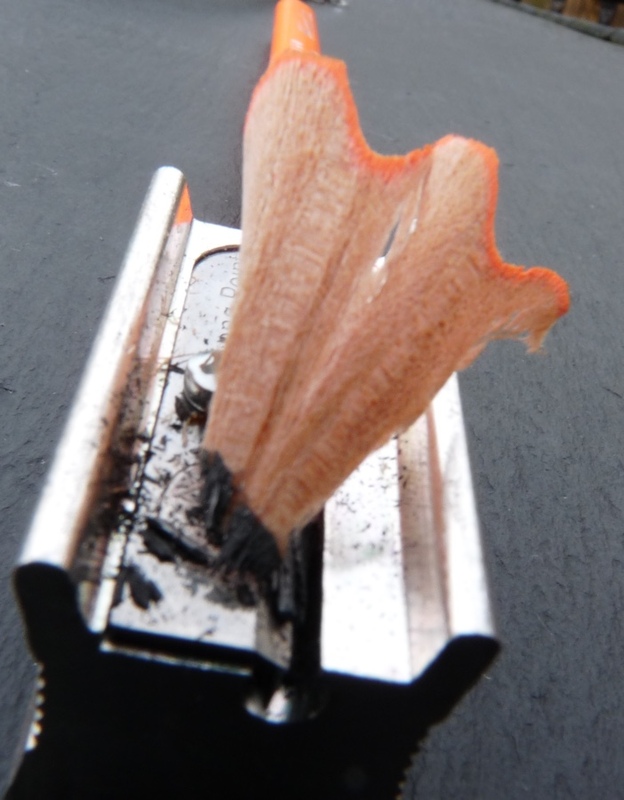 The lead is fairly smooth, it holds its point fairly well, and it sharpens … fairly well, too. It won’t give your Blackwing any sleepless nights and it isn’t as good to write with as even other (and cheaper) Faber-Castell pencils but it’s not bad. If you like a triangular barrel then I don’t see why you wouldn’t like this. It has a rounded triangle cross-section and the sparkly grip is comfortable in the hand. 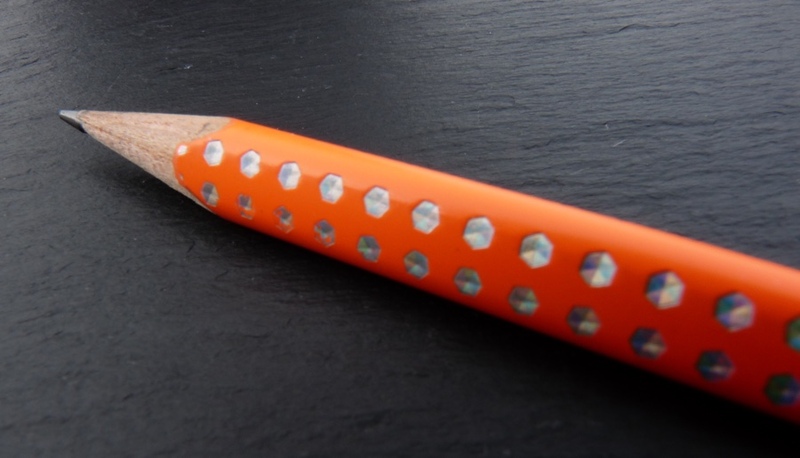 The Faber-Castell Grip Sparkle pencil is a decent pencil with indecent looks.